Design Build Remodeling Group of Maryland provides custom design/build remodeling services to residents of Howard, Montgomery, Carroll, Frederick, Baltimore & Anne Arundel counties. We specialize in the design and construction of large-scale residential remodeling projects for single-family homes, specifically whole home renovations and additions of any kind. Each of our remodeling projects incorporates architectural design, interior design, and all remodeling and building services. Why choose Design Build Remodeling Group? We have over 30 years experience of providing Maryland home improvement services. We have a dedicated group of full-time employees and trade specialists, all of whom continually strive to deliver superior customer service. All of us at Design Build Remodeling Group recognize this is your home, your improvement project and we want to leave you happy with a successfully completed project. We will work with you every step of the way from planning to design and construction. Home improvement projects can require a lot of time and effort. We will be dedicated to your project from start to finish, never leaving a project incomplete. Todd has been in the remodeling industry since 1995, holding a variety of positions throughout his career. Now an efficient and valuable manager, Todd is also an accomplished carpenter and electrician. He is extremely knowledgeable about every aspect of our “Design Build Remodeling Group Process”. Todd oversees the flow of each project—from the initial design and estimate through the final construction process. His commitment to provide the ultimate remodeling experience for each of our clients is unparalleled. Brian’s unique blend of professionalism and creativity brings fresh ideas and perspectives to each new client. His goal is simple… To explain to homeowners why they should hire to design and build their remodeling projects. 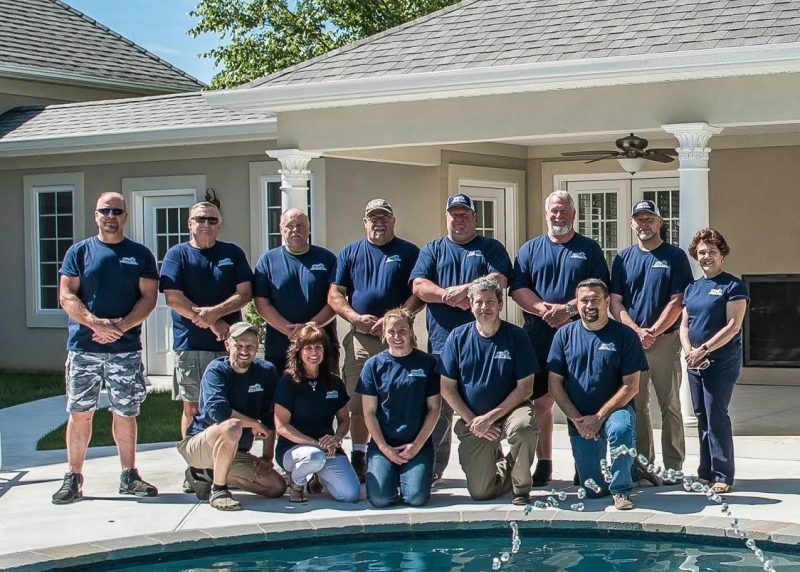 He details the many benefits that Design Build Remodeling Group brings to every job, and shows why Design Build Remodeling Group is superior to other contractors. He also assists our clients in the development of details and design. Brian has a good understanding of what our clients want and need, because he was originally a client himself– twice – before he became a vital cog in the Design Build Remodeling Group wheel. Leah is our Senior Project Manager and she knows the ins and outs of your project. Leah graduated from the University of Maryland Eastern Shore in December 2011 with her Bachelor’s Degree in Construction Management. Leah will be in daily contact once construction begins as she will be scheduling, coordinating, and overseeing all daily and weekly aspects of the successful construction and completion of your project. Kristy manages most of the behind-the-scenes work at Design Build Remodeling Group. She has extensive experience in office management, bookkeeping, and communications. Her voice will often be the first you hear whenever you contact our office. Our Project Managers and Sales Team rely heavily on Kristy’s ability to coordinate all communications amongst the staff and our clients. It is Kristy’s responsibility to keep things at the office running smoothly so that your remodeling team can be as efficient as possible with every aspect of your home improvement project. As Design Build Remodeling Group’s Accountant, Donya manages and updates all financial records so that production is never impeded. As an active member of the Maryland Society of Accountants (MSA) and the Maryland Association of Certified Public Accountants (MACPA), Donya has over eighteen years of experience in the financial and human resources sectors. She received her CPA in 1989 and holds a Bachelor of Science degree in Business Administration from the University of Baltimore.